Long-term EarthByte collaborator Kaj Hoernle has been awarded the Gustav Steinmann Medal at the recent annual meeting of the German Geological Society. The medal, which has been awarded since 1938, honours outstanding overall achievements in the geosciences. 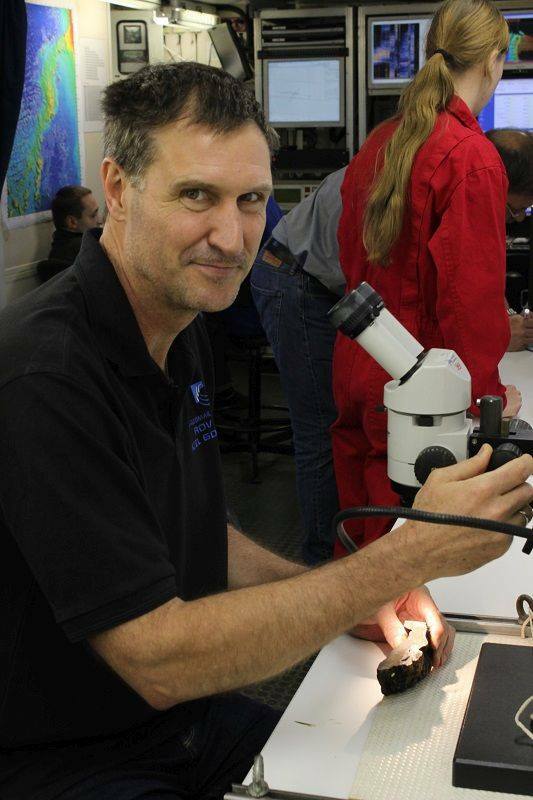 Kaj studied geology, petrology and geochemistry at Columbia University and at UC Santa Barbara. Since 1994 he has been Professor of Petrology and Geochemistry at GEOMAR and the Christian-Albrechts-University, Kiel. Kaj’s work addresses fundamental topics of earth system dynamics, ranging from the evolution of our planet to the effects of volcanism on climate and society. He built a world leading isotope laboratory at GEOMAR for the high-precision analysis of radioactive isotopes, and carried out interdisciplinary research on magmatic rocks from all over the world, integrating both land-based and marine studies.